With the vast, sometimes confusing varieties of foods available to us in the western world, it’s good to know that there are skilled professionals out there looking out for our dietary and nutritional needs. This year, the Academy of Nutrition and Dietetics celebrates Registered Dietitian Nutritionist Day on Wednesday, March 9. In fact, the entire month of March is recognized as National Nutrition Month®. As the nation's food and nutrition experts, registered dietitian nutritionists are committed to improving the health of their patients and community. First celebrated in 2008, Registered Dietitian Nutritionist Day commemorates the dedication of RDNs as advocates for advancing the nutritional status of Americans and people around the world. Registered Dietitian Nutritionist Day was created by the Academy of Nutrition and Dietetics to increase the awareness of registered dietitian nutritionists as the indispensable providers of food and nutrition services and to recognize RDNs for their commitment to helping people enjoy healthy lives. Subway Restaurants – With a focus on fresh ingredients, affordable prices and an extensive menu of made-to-order sandwiches, Subway Restaurants has become the leading choice for people seeking quick, better-for-you meals that the whole family can enjoy. Having a Subway Card means having a healthy, delicious meal right in one’s pocket. The Spa & Wellness Gift Card by SpaWeek is the perfect way to put recipients on the path to personal wellness. The card is the deal gift for any occasion, as it's accepted at more than 8,000 spa and wellness facilities across the U.S., Canada, and Puerto Rico. It never expires and has no added fees. Elizabeth Arden Red Door Spa – At the Red Door Spa, calmness and detoxifying relaxation are ways to squash stress. Card recipients can escape for a quick beauty fix, a signature spa treatment, or a luxurious spa day. 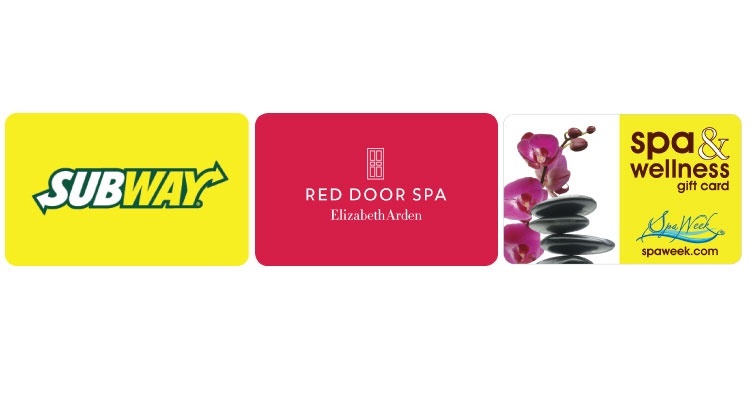 Red Door Spa gift cards can be redeemed at 28 locations nationwide. 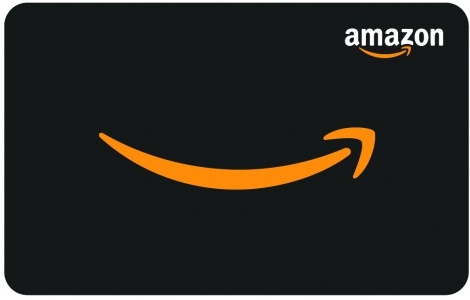 Show your employees and customers that you care about their nutrition and wellness with one of our National Gift Card healthy choices. Contact us to learn more.